It's a habit of mine that at least once during the night, normally after answering the call of nature in the outside bathroom, I lean on the rail of the veranda and look out over the sound to check that both boats, and the raft, are where they should be - two on their moorings, one tied to the jetty. This is much easier when the moon is strong and the sky clear, as last night. If I happen to be in a reflective mood, I listen to the silence and gaze into the panoply above, trying to identify familiar constellations. 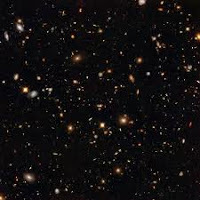 As often as not, I smile, because one of the few astronomical statistics I can always recall is that all of this - the earth, the sun, the moon and every star we can see - is travelling on an outer spiral arm of the Milky Way at a speed of 40,000 miles per hour. The reason I smile is that the information comes from Eric Idle, and Idle happens to be one of the few people who can make me smile whenever, and wherever, he comes to mind. In The Galaxy Song, which he wrote and performed in 1981 for Monty Python's The Meaning of Life, Idle reels off a whole series of statistics which astronomers have agreed to be more or less accurate - and indeed the lyrics make a good cheat sheet for anyone wanting to get some kind of handle on the bewildering size and state of our Universe. 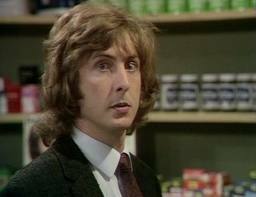 I also think of Eric Idle, incidentally, when someone says, 'How can we be sure the fridge light goes off when we close the door? ', because he should know - he stepped out of one, microphone in hand, to sing the The Galaxy Song.